Customize : Personal & Free. Made of highest quality clear acrylic plastic and lighting. AU adapter: Australia. Just plug to turn it on and light up. Perfect to display in your bar, pub, club, restaurant, room and anywhere you like. Made of highest quality clear acrylic plastic and lighting. AU adapter: Australia. We are good at produce Led light signs and have a great experience forcustomize signs. Perfect to display in your bar, pub, club, restaurant, room and anywhere you like. Also a great choice of personal gifts for friends and anyone. HANDCRAFTED NEON SIGN! ~ Made with neon glass tube. WHATEVER YOU LIKE! 100% hand-made, gas-filled, real glass tube neon signs! This bright, colorful handcrafted neon sign will look more pretty in real eyes. ADAPTER INPUT:100-220V. They are NOT plastic tube lights or LED signs, 100% hand-bend GLASS tube. Premium quality, we used thousands of it for our Nixie Project. Of course, we will give you praise too. Item : Neon Light Indicator bulb. Size : 5 12 mm. Emitted Color : Red. Neon lamp is a fragile product. 100% hand-made, gas-filled, real glass tube neon signs! This bright, colorful handcrafted neon sign will look more pretty in person. This real neon sign will add fun and eye-catching accent in scenarios limited only by your imagination. Tiki Bar LED Motion Sign. Very Nice Sign. (This neon is designed by Scott Ryder. Real glass neon tubes mounted on transparent acrylic backplane cut in outline shape, No installation needed. All works are pre-assembled on transparent acrylic backplane with two screws or a rope to easily hang it, Just hang them up, enjoy! ). This item is an Authentic Peroni Nastro Azzurro Italy Birra Led Beer Sign Bar Light. Item is used in good condition, lights up perfectly with Motion lit flag. A one stop place for all your Neon and beer swag needs. (This neon is designed by Scott Ryder. 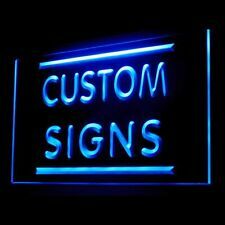 We can customize your personalized neon lights, Let your imagination run wild and we can turn it into a reality! Real glass neon tubes mounted on transparent acrylic backplane cut in outline shape, No installation needed. ). 100% hand-made, gas-filled, real glasstube neon signs! Best designed! This bright, colorful handcrafted neon sign will look more pretty in real eyes. This real neon sign will add fun and eye-catching accent in scenarios limited only by your imagination. RARE 1956 CHRYSLER or DODGE NEON LIGHT WALL CLOCK - STERLING & NOBLE w AC ADAPT. ADAPTER HAS ON/OFF SWITCH. NEON LIGHT IS PINK. IT REQUIRES ON AA BATTERY (NOT INCLUDED) AS WELL AS THE AC ADAPTER (INCLUDED). We can customize your personalized neon lights, Let your imagination run wild and we can turn it into a reality! (This neon is designed by Scott Ryder. Real glass neon tubes mounted on transparent acrylic backplane cut in outline shape, No installation needed. ). We can customize your personalized neon lights, Let your imagination run wild and we can turn it into a reality! Real glass neon tubes mounted on transparent acrylic backplane cut in outline shape, No installation needed. I will not make you suffer any lose. Fragile glass! Bright & Prettier colors. 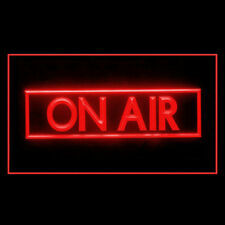 Can be mounted on a wall/window, or placed on any flat surface. Their extensive collection of neon signs, neon clocks, neon sculptures and lighted pictures are given a colorful edge with real hand crafted neon tubes and L.E.D. accents. 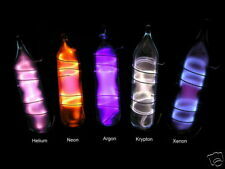 Neonetics Neon Sculptures feature multi-colored, hand blown neon tubing.